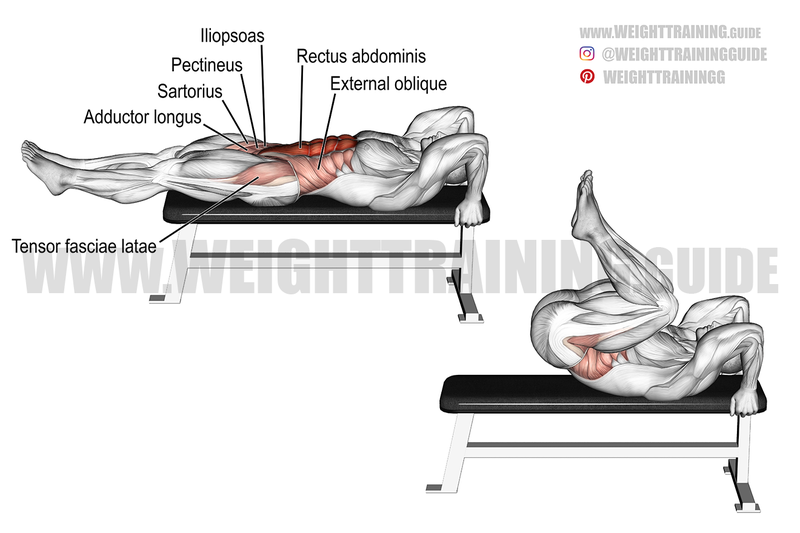 Lie supine (on your back) on a bench with your legs straight. Grasp the sides of the bench by your head for stability. Press your lower back against the bench so that it is supported. Make it more difficult by straightening your legs (see second video) or performing it on an inclined bench. You can also pull a cable with your feet (see third video). This exercise is best when you hang.